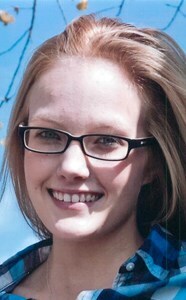 Lynsey (Brockway) Reed, 24, of Pennellville. passed away on Friday at Crouse Hospital after a long courageous battle with cancer. Lynsey was born on December 28, 1993 the daughter of Jeremy Brockway and Denise (Pfeifer) Brockway. Lynsey was employed at Gertrude Hawk in Camillus. Lynsey graduated from Liverpool High School, Class of 2012. She also graduated from OCC in 2015. She enjoyed playing sports, soccer and softball but her greatest joy was spending time with family, especially her son Lukas. To everyone who knew her, Lynsey Reed was the strongest, sweetest, and most compassionate person you'd have ever met. She was my beautiful wife and a perfect mother to our son. Lynsey had been fighting a battle with sarcoma and unfortunately, after 5 years of strength, she was no longer able to keep up the fight. She was a warrior in her fight to the very end. There are not enough kind words I can speak to explain how amazing of a person she was, the way she changed my life, and the enormous way that she will be missed. Thank you everyone for your love and support in this difficult time. Lynsey is survived by her husband Kevin, son, Lukas Reed, parents; Jeremy (Anna) Brockway, Denise (Todd) McCarthy, in-laws: Ron (Joan) Reed, Michael & Scott Reed, siblings;, Emily Brockway, Kelsie Brockway, Craig Brockway, Ryan Brockway, Lea Gorgoni, Nikki Gorgoni, Kayli Gorgoni, Amanda McCarthy, and Samantha McCarthy, along with several nephews, aunts, uncles and cousins. Calling hours will be held on Tuesday from 4-7 pm at New Comer Cremations & Funerals, 705 N. Main St., N. Syracuse, with services at 7pm. To share a memory of Lynsey, or leave a special message for the family, please click the Share Memories button above. Add your memories to the guest book of Lynsey Reed. Ryan, I’m soooo sorry for your lost. If there is ANYTHING that I can do for you and your family I’d be more than pleased to help. Just remember, Ryan, that if you need me, I’m just a step away(or a few depending on how far we live apart) and that I can help you with anything...even homework. Just know that you can get through this, and you can do it with me. We are so sorry for your loss, wish we could have been with you to offer our condolences to all of the family. You will be in our prayers in the days ahead. I was lucky enough to get to work with Lynsey at Gertrude Hawk. She made work fun. She knew how to make you smile, especially when you didn't want to. She was a joy to be around. I am very sorry for your loss. We couldn't be more sorry to hear about the loss of Lynsey. Our daughter Morgan (Pam lol) and Lynsey were good friends. They played soccer for years together! The Brockway/Reed families are in our hearts and our prayers. Lynsey was a bright spirit on earth and will be in heaven as well, with no more fighting or pain to be had. RIP sweet Lynsey and lots of love to your family. We are so sorry to hear about Lynsey. Olivia knew her from softball & Salsaritas. Very beautiful and strong young lady. We are so very sorry for your loss, Lynsey was one strong fighter, prayers and love to all of you.